is Germany’s largest manufacturer of enamels, glazes and engobes with its own frit smelting plant and milling facilities located in Dillenburg, central Hessen. Wendel has been a pioneer and top innovator since 1932. Specialising in B2B from the raw material to the finished high-quality product. A brand leader in the field of enamels and roof tile glazes throughout Europe. A leader in casting enamel powders on the world market. Learn more about our products and manufacturing methods. 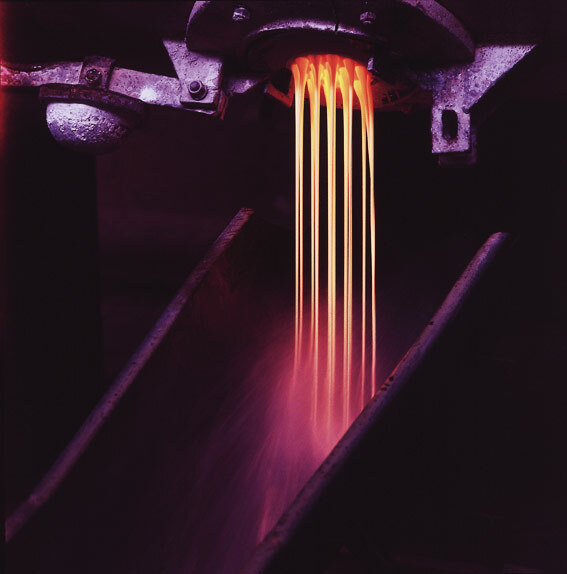 See our glossary to find detailed explanations of different terms..
is Germany’s largest manufacturer of enamels, glazes and engobes with its own frit smelter and grinding facilities. Wendel has been a pioneer and top innovator since 1932. Specialising in B2B from the raw material to the finished high-quality product. A brand leader in the field of enamels and roof tile glazes throughout Europe. A leader in casting enamel powders on the world market. Quality is our recipe. Enamels and glazes, our passion. According to RAL 529 A (1940), enamel is a mass that is produced by melting or fritting; an inorganic and essentially oxidic composition fused onto metallic components in one or more layers, partly with additives. Depending on the quenching process of the smelt, granules or flake-shape substances (so-called flakes) are produced when quenched with water or during the roller cooling. Granules and flakes are called enamel frits. Coil-Coating (Bandbeschichtung) ist ein industrielles Verfahren, in dem gewalzte Stahl- und Aluminiumbänder kontinuierlich beschichtet werden.